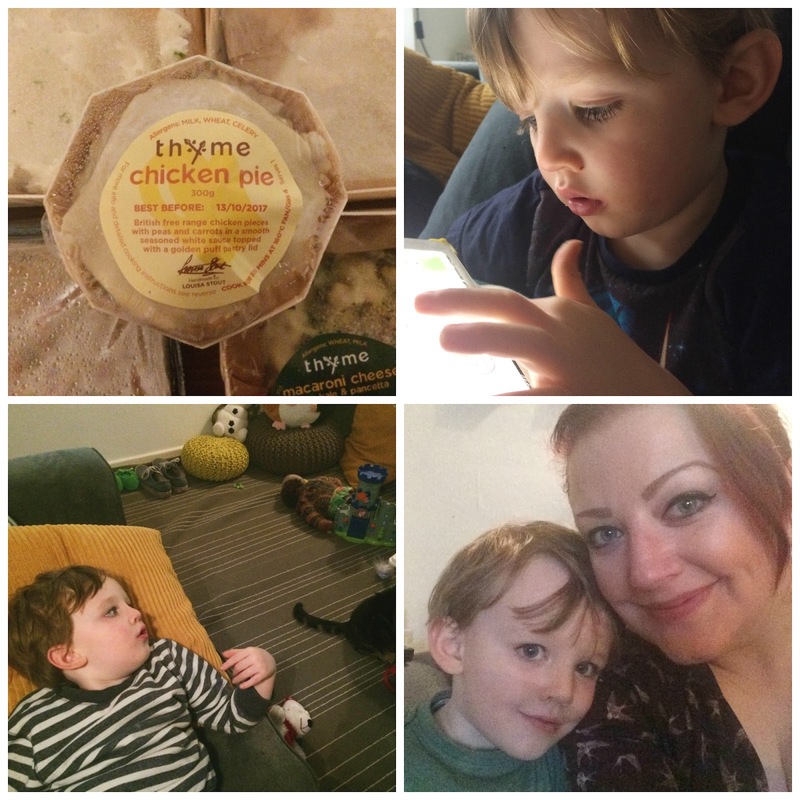 I decided to take the Thyme challenge and see what they had to offer - and think up all the things I could do with the extra time every evening not spent in the kitchen for at least an hour prepping, cooking and clearing up. 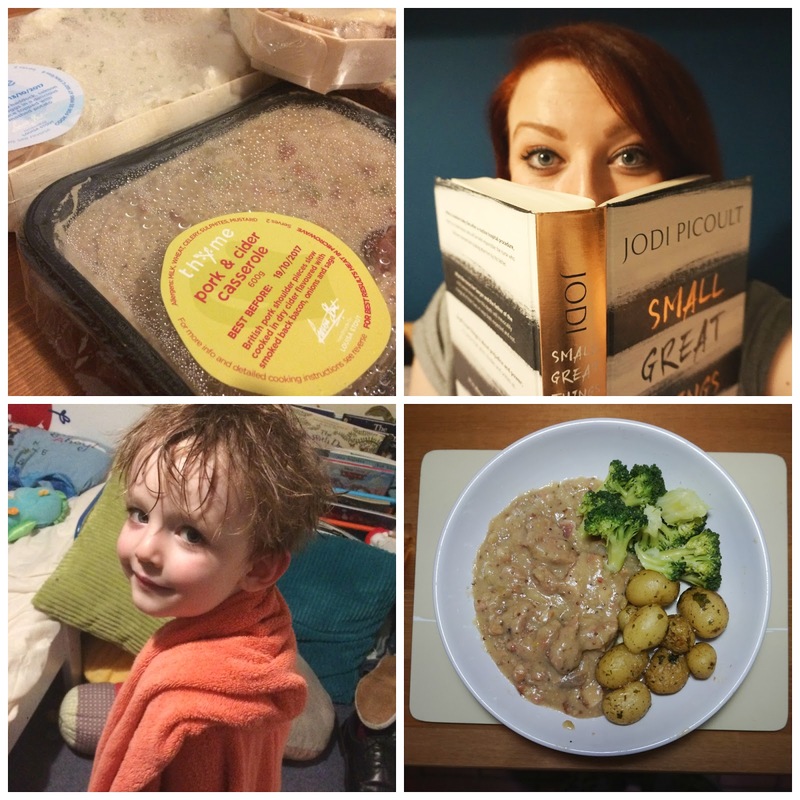 Meal: For day one, we decided to try the pork and cider casserole. I was looking for a home comfort style dish on a particularly grey day and this did indeed sound de-lish. Out of the freezer, off with the plastic wrapper and into the oven. Come back in an hour, add some microwaved veggies and new potatoes roasted alongside the casserole and voila, dinner is served. This was a great introduction to our time with Thyme; the pork was tender, the sauce full of flavour and there was plenty for the both of us (a generous two portion meal, when you add your own sides like we did). Very tasty - couldn't have made it better myself! Activity: It felt quite odd to be honest, having some time to spare. Our evening routine is quite formulaic, with minimal time / energy for anything else: get in from work, feed the animals, set up something for Ethan to do, get changed, start cooking, eat dinner, run a bath for Ethan, do the bedtime routine, eventually sit on the sofa and nod off after precisely 8 minutes 32 seconds of watching something on Netflix. So on our first night, I mainly thought of all the things I could do with the extra time! I actually enjoyed some time in the lounge with hubs and Ethan, and hearing about their days, rather than rushing off to the kitchen as soon as we got in. It was nice not to be isolated in the kitchen and to not yo-yo between the rooms just to feel a part of the rest of the house. I also picked up a book for the first time in AGES! A dish like this would take either prep time in the morning to put into a slow cooker or quite a bit of faffing and hob-watching in the evening. Meal: Time for hub's favourite! Beef lasagne, a family classic if there ever was one. We had this at the weekend, after I had been at work during the afternoon, so it was good to not to have to worry about dinner and miss out on more family time. I make a mean lasagne, if I do say so myself, but it is also one of the most time consuming dishes in my repertoire. It also comes with a lot of washing up! 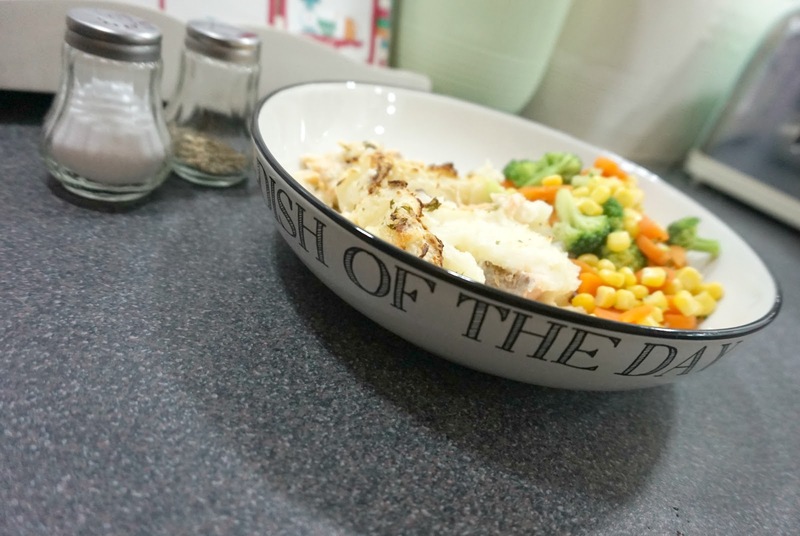 I'm not too keen on shop bought options and being hubs' favourite meal, we are quite harsh critics of this layered pasta dish but I have to say, we polished this off, with help from Ethan and a side helping of garlic bread, and really enjoyed it. It had a good flavour and structure to it and what is more, it saved me heaps of time chopping and cooking. 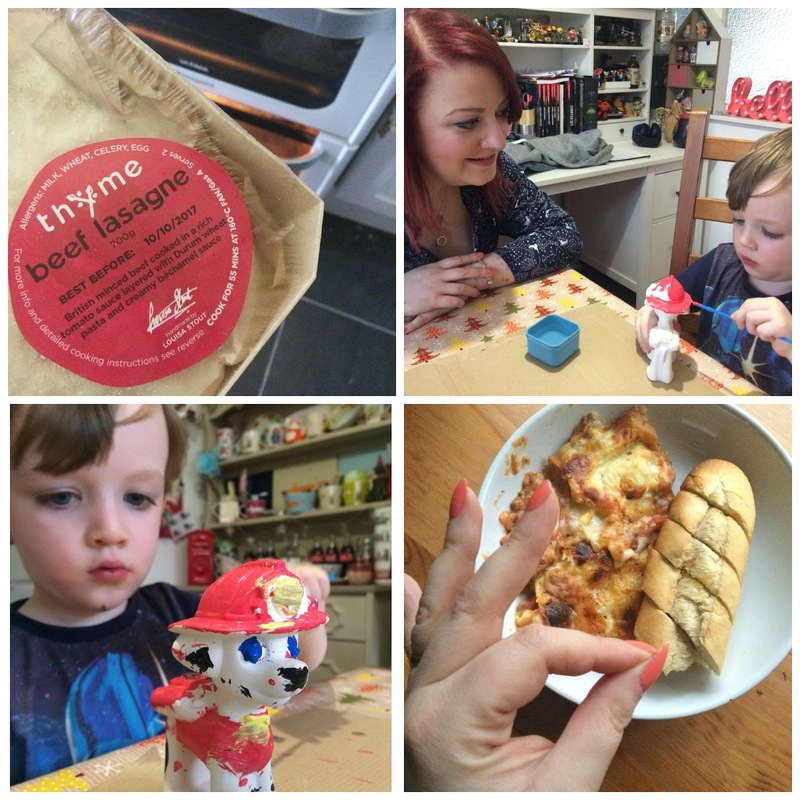 Activity: Ethan had been excited all week about painting a Paw Patrol figure my Mum bought for him, so we had the perfect chance for some arts and crafts whilst the lasagne was bubbling away in the oven. We used a roll of old wrapping paper to protect the dining table (top tip!) and Ethan used his own unique creative flair to paint Marshall, despite our best efforts to suggest the most appropriate colours! Meal: Hubs and I have been struggling with a cold / flu for a few days this past week and it put my appetite off - particularly my appetite for cooking. Who wants to spend ages in the kitchen when they're feeling poorly? Another great excuse to call on Thyme to save the day - and a classic chicken pie, which I'm told is a real speciality of Thyme's, to keep the cold at bay. I love a good crust, and this had it, and the sauce was flavoursome, despite my snuffles. Activity: sofa, snuggles, Netflix. Just what the doctor ordered and the best possible way to spend the evening, we were feeling that rotten. Also got to see Ethan dancing to his favourite songs via YouTube; namely the Trills soundtrack (check out my Instagram to see his moves, as it was a moment not to be missed for sure). Meal: Give me a little fishy on a little dishy... I was looking forward to the fish pie and it did not disappoint. Lovely mash, big chunks of fish (salmon and haddock) and a tasty parsley sauce. This meal, again, looked and tasted homemade and took under an hour (again) to cook straight from frozen. Activity: On a whim, hubs decided to paint our kitchen tiles this week. They were black but as the kitchen is small and at the back of the house, lighting can be an issue (which makes us want to spend even less time in there) so we thought a quick update with white tile paint, plus some under cupboard spotlights, would do the trick. While the fish pie was cooking away, hubs finished the final coat of tile paint and fitted the lights and I put all the appliances back in place. Not a bad way to use the hour, I'd say! And what a difference it has made. 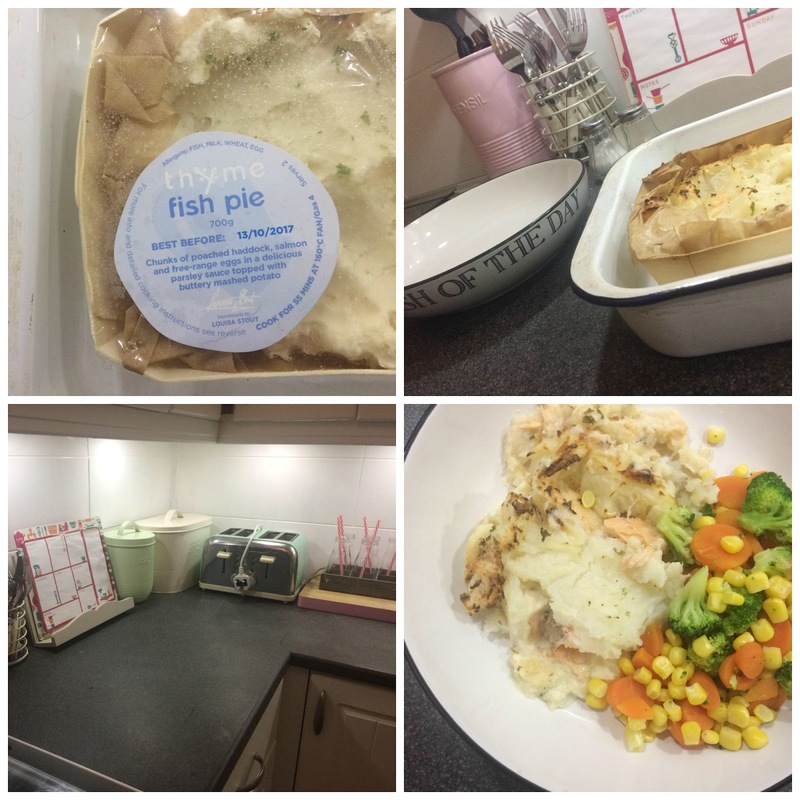 The fish pie was well and truly deserved. Meal: One meal left in the freezer to consume and it was bound to be a favourite with me - macaroni cheese, with a twist - this one from Thyme has kale and pancetta too. Fancy! I love mac'n'cheese so was very exited for this. It's not too cheesy and there's a good balance of ingredients and flavours, with big pasta pieces and a crunchy crumb. Mmm. 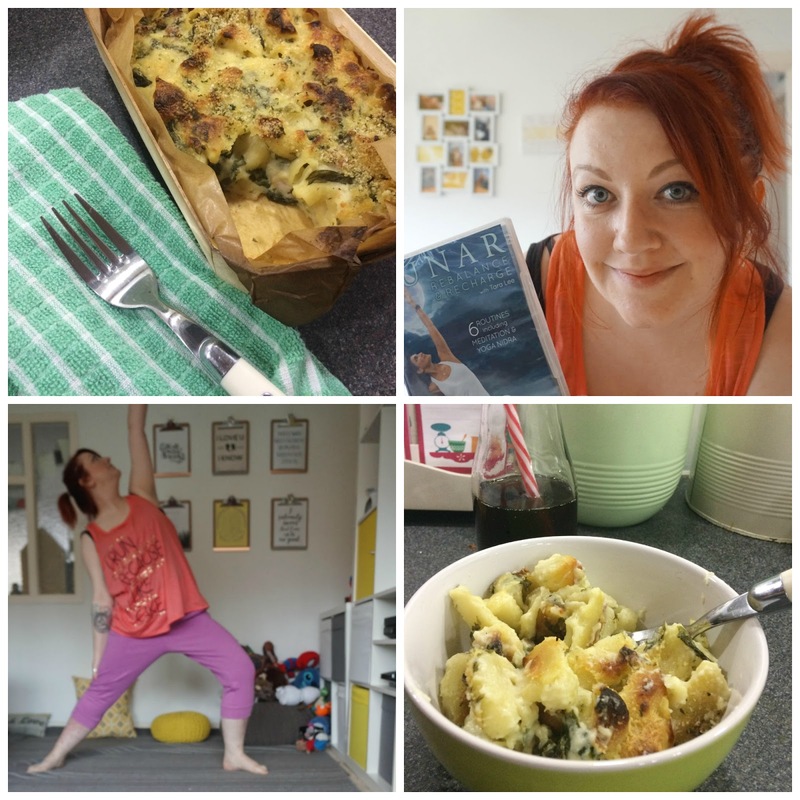 Activity: Speaking of a good balance, I had a work event to go to so I pre-cooked this dish before I left, giving me time for a spot of yoga (which I have being dying to do at home for ages but don't find the time or I am too tired by the time I do put my feet up) before popping out. I then returned home to have a nibble on some reheated macaroni which hit the spot and then took the leftovers to work the next day - saving me even more time preparing lunch! Is it thyme you're looking for? 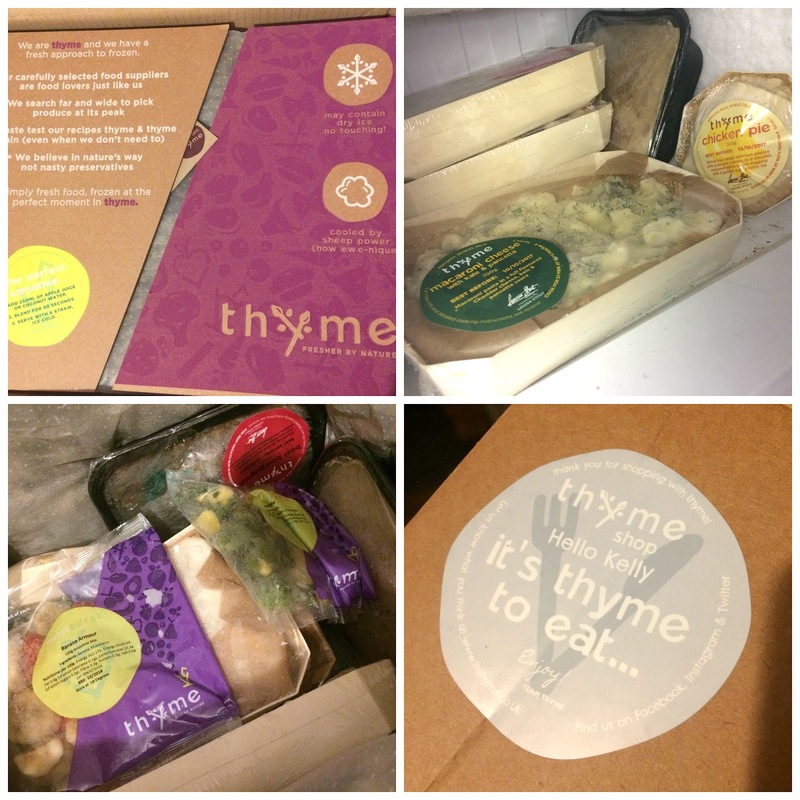 I've really enjoyed trying out Thyme as the quality of the food, from the delivery to the packaging and the taste, stands out and of course, I have gained a fair bit of time to do things other than be a slave to my kitchen - 5.5 hours across 5 days to be precise! Meals are priced from around £5 for an individual portion, £8.50 for two people and £15 for a family of four (some casseroles are £4.50 for one and £7.50 for a double portion). This may seem a little more than you may pay for a standard ready meal option, but there's nothing standard about these meals and the service throughout is top-notch. There's lots of dishes to choose from plus handy meal box bundles, roast dinner boxes (fab for Mother's Day or Easter) and gift boxes (a great idea for new parents, if you ask me), which can also save you some pennies, and the convenience and quality makes Thyme well worth checking out. "We understand that a busy family life sometimes means that good food can fall by the wayside. Not anymore. Our mission is to make it easier for your family to eat better. All our food is prepared fresh, exactly like you would at home, if only you had the time. Then we freeze it. We freeze for freshness and convenience, nothing else. There’s no need for nasty preservatives and it’s ready when you are. And to make life even easier we deliver your order directly to your door in its very own thyme capsule; mini portable freezers that keep your food frozen for up to 24 hours, so you don’t need to worry about anything defrosting. Our friendly couriers will happily leave with a neighbour or in a safe place – just let us know." 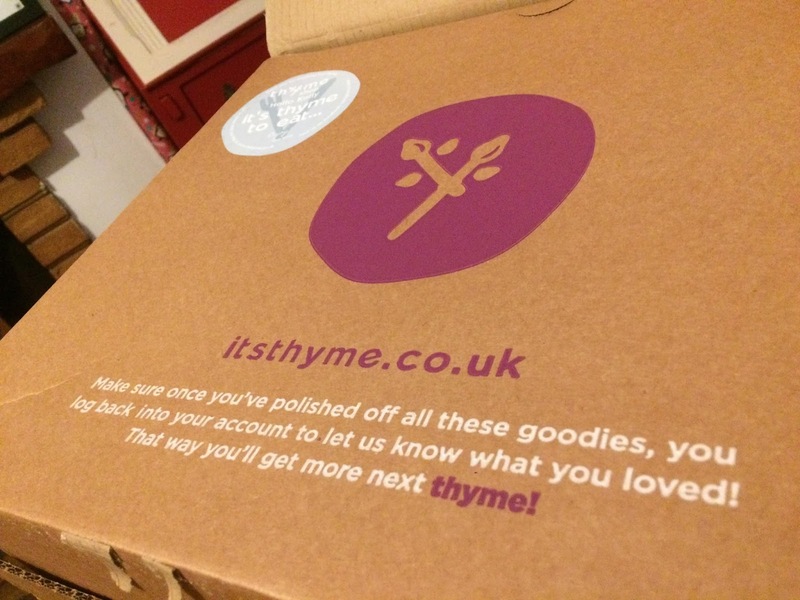 See more photos and everything I got up to during my Thyme trial on my main Instagram feed. Is it thyme to say hello to a helping hand in the kitchen? How would you spend the extra time you'd save by using this convenient meal delivery service? * This is a PR collaboration and I also received the meals mentioned for purposes of review - but all opinions, and fun had as a result, are my own.